Perhaps it was watching State Senator Wendy Davis in her historic filibuster in the Texas statehouse that reminded me of the great role women have played in fighting the difficult progressive fights throughout history. Maybe it was my constant lament that investigative journalism is no longer a part of our “main stream media” today. Bullet points and tweets have replaced the steadfast research and day-in and day-out unglamorous work that is the cornerstone of true investigative reporting—the Fourth Estate. Or possibly it was watching the PBS special on John D. Rockefeller that jogged my memory of one of the great women and investigative journalist to have ever lived—Ida Minerva Tarbell, our July Progressive Profile. 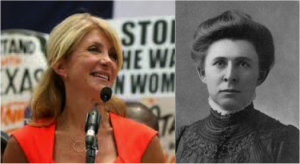 Texas State Senator Wendy Davis channeling the power of Ida Tarbell. The only woman to graduate from Allegheny College in 1880, Tarbell took her passion for writing to some of America’s top periodicals (McClure’s, Cosmopolitan, Collier’s, and The American), which was the primary source for news at the close of the 19th century. Tarbell was one of a handful of journalists labeled by President Theodore Roosevelt as “muckrakers” because of their attacks on the social ill of their day (child labor, slums, immigrant working conditions) and because of their exposés on the dishonesty, corruption, and greed of machine politics and corporate business practices. Other “muckrakers” included Lincoln Stevens and Upton Sinclair. But it was Tarbell’s 19-part series in McClure’s, “The History of Standard Oil” that riveted the nation upon its publication in 1902. The series lasted until 1904, with the populace eagerly awaiting her next installment. It eventually led to the 1911Supreme Count decision to dissolve the Standard Oil Company in the great trust-busting era of President Theodore Roosevelt. In those two years, she painstakingly looked through volumes of public records, including court testimony, state and federal reports, and newspaper coverage. From these, she gathered a mind-boggling wealth of information on Rockefeller’s ascent and the methods used by Standard Oil. The breadth of her research was remarkable, but even more impressive was her ability to digest Rockefeller’s complicated business maneuvers into a narrative that would be accessible and engaging to the average reader. Tarbell uncovered the collusive and conspiratorial tactics against independent oil rivals, grabbing of pipelines, espionage, rebates, drawbacks, dummy companies, price cutting, handling of politicians, expensive lawsuits, threats of counter-suits, and mulcting of the weak. In the 19-part series, Tarbell wrote a detailed exposé of Rockefeller’s unethical tactics, sympathetically portraying the plight of Pennsylvania’s independent oil workers. Still, she was careful to acknowledge Rockefeller’s brilliance and the flawlessness of the business structure he had created. She did not condemn capitalism itself, but “the open disregard of decent ethical business practices by capitalists.” About Standard Oil, she wrote: “They had never played fair, and that ruined their greatness for me.” Most economists of the time as well as the general public still believed that ethical business practices were part of the equation for corporations. Rockefeller offered a justification of his questionable practices: “Everyone was doing it. We were not the only ones.” This was not acceptable to the ethically minded, nor to the United States Supreme Court. “The History of the Standard Oil Company” would be hailed as a landmark in the history of investigative journalism, as well as the most comprehensive study of the building of Rockefeller’s oil empire. In 1999, it was listed number five among the top 100 works of 20th-century American journalism. Tarbell’s great love of research and writing would contribute to two other major biographies—one on Napoleon and the other on Abraham Lincoln. As one of the first women to chose career over the life of wife and mother, Tarbell struggled in her time with whether that decision had been the correct one. Her political ideals were progressive but her ideals for women were once described as being like a weathervane. An independent, free-thinker, she was an anti-suffragette and declined the request of Margaret Sanger to be part of the first American Birth Control Conference Committee in 1921. 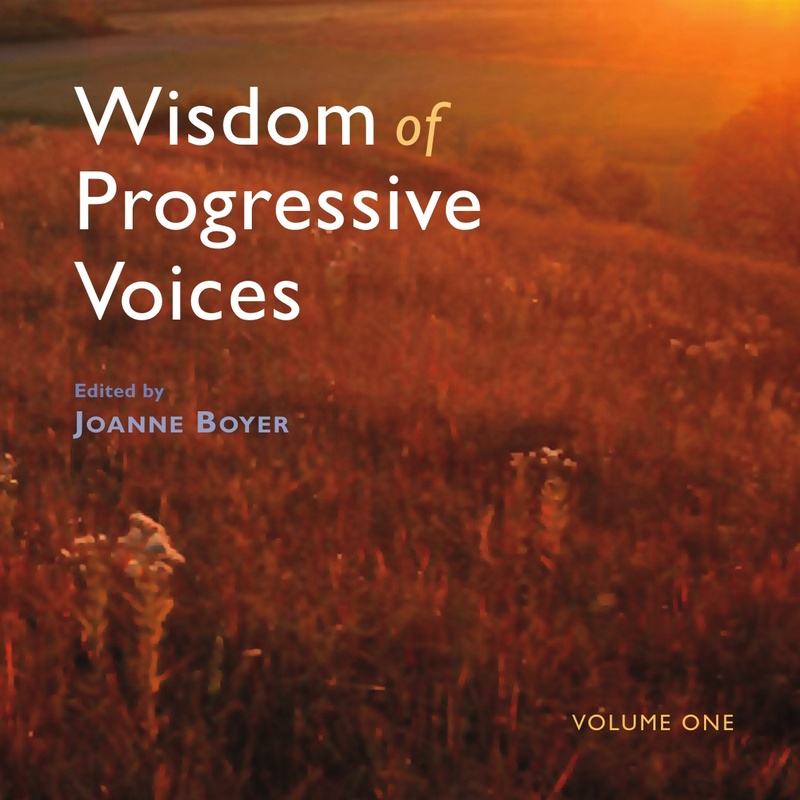 She continued to write on global issues, including America at war and at peace. She died of pneumonia in 1944, at the age of 86. A generation exists today that was raised on Reaganomics, trickle down, Paul Ryan and Ayan Rand, individualism, and a corporate structure that perpetuates greed. My constant cry is, “it wasn’t always like this.” We need to remind people of that. There was a time in our proud progressive past in which corporate corruption was exposed and written about as “unethical.” And a time when the Supreme Court put partisan politics aside. Let’s hope that Wendy Davis can remind us that the power of an individual can change the world. And let’s hope for a return to investigative journalism that rouses a populace to demand more of its government to serve the common good. This entry was posted in Democracy, Progressive Profiles, Social Justice and tagged Ida Tarbel, Wendy Davis, women's rights. Bookmark the permalink.